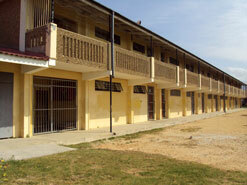 in the school’s 32 years of existence. change lives and transform the community. A school programme in an impoverished Cape Town suburb is helping to bring about positive change in individual pupils, their families and communities – and could be used as a model for sustainable development elsewhere in the country. The Youth Empowerment through School project, also known as the YES scheme, is a collaboration between the Wynberg Rotary Club in Cape Town’s southern suburbs, and Lavender Hill Secondary School. The Lavender Hill community is like many others on the Cape Flats – an area coloured people were moved to during apartheid, so authorities could make space for more white families within the city. This legacy of displacement and oppression is still felt today, and crime, drug abuse, domestic violence and gangsterism are rife. Lavender Hill residents generally have a meagre earning potential, and a large portion of adult males there are unemployed. These issues have deeply affected the youngsters of the community, leaving them despondent about their future. YES aims to break this negative cycle by equipping young and old with skills to improve their lives and the project’s model can be applied in any community that wants to improve its standard of living. The YES campaign began as a charity assisting the Lavender Hill Secondary School and was previously known as the Lend a Hand in Lavender project. The project’s coordinators, June Orsmond of the Wynberg Rotary Club and Lavender Hill headmaster Faseeg Manie, have been driving YES for the past 10 years. In that time it has made substantial progress in getting children off the streets, encouraging them to take part in healthy activities and empowering them to make better life choices. The new name has emphatic and positive implications, which are reflected in all the campaign aims to do. The campaign has been carefully and methodically planned, with four structured phases involving infrastructure development; sustainability through financial management and a trust; implementation; and the Dream Phase – which envisages community members selling fresh produce grown in the school vegetable garden. With the aid of various NGOs such as the Gauteng province-based Stop Hunger Now Southern Africa, the children are given a decent meal at school, so they can focus on their schoolwork and not their grumbling stomachs. Nutritious packs are also made up and allocated to needy families, through an organised and well-managed feeding scheme. Wynberg Rotary, with assistance from a UK-based Rotary group, funded a revamp of the school playing fields and also arranged for a proper irrigation system to be installed. The fields are now ready to be used by the pupils. The Lavender Hill Development Trust has been registered to raise money for the sustainability phase, and to manage the finances. Its aim is to raise R2.5-million (US$352 178) for a capital fund and implement a YES fundraising programme, which involves leasing a block of playing fields, among other items. 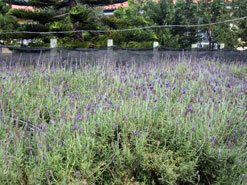 An established lavender garden, apt for the area and the school’s name, also provides a small income from a local market. The Bicycling Empowerment Network uses the Lavender Hill school premises for promoting exercise and alleviating poverty by providing people with a low-cost form of transport. Twenty donated bicycles will be used to start a supervised bicycle club for the community. Although some South Africans still blame their situations on the country’s history, the Lavender Hill pupils are beyond that and are aiming high, says Manie. The school has received a batch of computers from the Western Cape’s Department of Education, with the help of the Khanya project, which uses technology to address the shortage of teachers. Lavender Hill Secondary School now boasts a top-class lab where pupils can practise their computer literacy. Two thousand covered reading books now sit on the shelves in the school’s new library which, through donations of quality furniture, has become a place for relaxation, study or leisure reading. With the assistance of activist group Equal Education, the library opened in July 2010 and is a first in the school’s 32-year-old history. 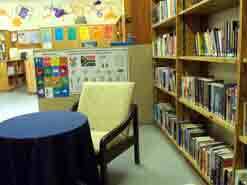 Just 8% of South African schools have functional libraries. This school is still battling with a shortage of staff, but hopes to soon appoint a social worker for the children; an aide to the principal; and other helpers to free the teachers to do what they do best, which is teach. Volunteers for extramural sports and culture activities are also needed, and a drug rehabilitation programme is on the cards. Despite these challenges, the matric pass rate has improved steadily over the past five years. According to the school, its pass rate is 80%, which is well above the national average of 60.7% given by Basic Education Minister Angie Motshekga in January 2010. In 2008 the Lavender Hill pass rate was as high as 87%, but it dropped slightly in 2009.